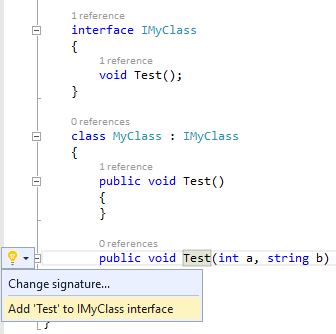 1) A new method is added to 'MyClass' class. 2) A light bulb with suggestions is displayed on method selection. 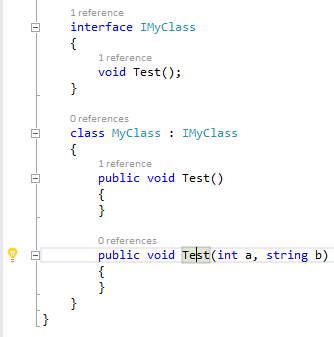 3) By clicking on the light bulb, concrete suggestion is displayed: Add 'Test' to IMyClass interface. 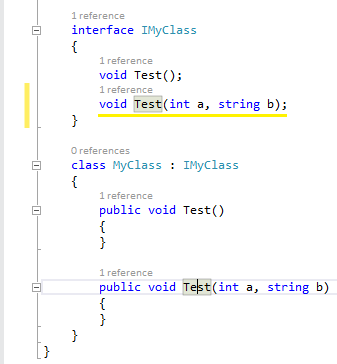 4) A new method is created in the IMyClass interface.